Tummy Tuck is Right for You! Getting Into Shape! Tummy Tuck (more properly referred to as abdominoplasty) is one of the most common cosmetic surgery procedures undertaken by Australians. The aim of tummy tuck surgery is to produce a firmer, more sculpted abdomen shape and profile by removing fat, along with excess, loose or sagging skin, from around the belly and waist. It can also involve the reshaping of abdominal muscles that have become separated or weakened (a condition known as Diastasis Recti) as a result of pregnancy, childbirth or other types of abdominal trauma. A tummy tuck operation is usually performed for cosmetic reasons, although the procedure is also used for reconstructive purposes as well. A tummy tuck procedure involves having surgery under general anaesthetic. It will usually require a horizontal incision to be made below the navel and above the pubic hairline, along with a second incision around the navel. The ultimate position and length of the incisions will be dependent upon the degree of tummy tuck surgery required; however, the aim will always be to ensure that any resultant tummy tuck scars are kept to a minimum. Once an incision has been made, underlying fatty tissue is removed, while excess skin is tightened by being pulled down and in. The abdominal muscles will also be tightened and re-shaped as required and, if necessary, the navel will be repositioned. After all excess fat and skin are removed, the incision will then be closed with sutures. The result of a plastic surgery tummy tuck will, therefore, be a tighter, smoother abdomen that has a clearer definition and muscle tone, along with a smaller and more shapely waistline. There are several different options open to you if you are considering abdominoplasty surgery. A full abdominoplasty is generally undertaken by patients with significant amounts of excess or saggy skin around the waist and belly as a result of pregnancy or the onset of the menopause, or in cases where there has been major weight loss. It will involve the removal of fat from the abdomen and the tightening of muscles in the abdominal wall. Some patients opt for a mini tummy tuck, which requires a smaller incision, and is suitable when there is less excess skin or fat to be removed. A mini abdominoplasty will also generally result in smaller tummy tuck scars. A fleur-de-lis abdominoplasty achieves more significant body contouring results through the addition of a vertical incision, which is required in order to better adjust the abdominal muscles above the navel. This type of tummy tuck procedure is also used when a patient has very large amounts of excess skin that need to be removed. Belt lipectomy, which is also known as a circumferential tummy tuck or a lower body lift, requires a horizontal incision that continues around to the back. This type of abdominoplasty surgery is used for body contouring on patients who have lost significant amounts of weight through gastric sleeve, lapband or bypass surgery, and who need to have very large amounts of excess skin removed from the tummy, waist and lower back. As a result of the larger incision that’s required, the initial tummy tuck scars from a belt lipectomy will be more extensive. For those patients who may not want to undergo a full or mini tummy tuck, there is also a less invasive alternative to abdominal plastic surgery, known as tummy liposuction, which can also tighten and contour loose and sagging skin around the waist and abdomen. Why do people choose to have a tummy tuck operation? Tummy tuck surgery is undertaken by people who want to restore the shape and firmness of their belly, or their abdominal strength, for a number of different reasons. Whatever the motivation, our patients at Australian Medical Travel constantly tell us that having a tummy tuck procedure increased their body confidence and self-esteem, improved their ability to engage in exercise and physical activity, and had an overall positive effect on their health and well-being. One of the most common reasons for undergoing tummy tuck surgery is to restore the shape and contour of the abdomen and belly after pregnancy and giving birth. The abdominal muscle wall often becomes weakened or separated during childbirth (known as Diastasis Recti), and abdominoplasty surgery can correct and repair this. Abdominoplasty can also be used as a treatment for incontinence and chronic back pain, which are sometimes the result of pregnancy. The onset of menopause and the results of the aging process are also often the reason behind Australian women opting for abdominal plastic surgery. As the body ages, the skin loses its resilience and elasticity, with the result being skin around the waist and tummy that is loose and sagging, often rather unkindly referred to as a ‘stomach apron’. People who have undergone weight loss surgery (bariatric surgery) will also use a tummy tuck procedure as a means of removing any resulting sagging or excess skin, as well as to restore muscle tightness and tone around the belly and waist. Exercise and physical activity often won’t correct this, but it is generally the case that a tummy tuck results in a firmer and better contoured abdomen and tummy area. 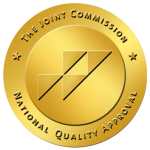 It does, however, need to be borne in mind that while abdominoplasty surgery can help to reshape the abdomen and waist and can be used to tone and firm the body when exercise has not been entirely effective, it is not a weight loss method and shouldn’t be thought of as a replacement for healthy living and eating. Although you can expect to see a significant change in your body shape after tummy tuck surgery, in order to maintain the improved definition and tone you still need to look after your body with regular exercise and a healthy diet. After having abdominoplasty surgery, in most cases, you can expect it to take around four to six weeks for a full tummy tuck recovery, although with some patients this can take longer (sometimes up to twelve weeks). There will be some pain and discomfort in the initial period after the plastic surgery tummy tuck procedure, but this can be managed through pain relief medication. You will generally be able to get out of bed and move around on the day following your tummy tuck operation, which also encourages blood flow and healing, and most people are able to return to work within two to four weeks. However, any strenuous physical activity should be avoided for the full period of four to six weeks of tummy tuck recovery time. You will also generally need to wear some form of compression garment in the period immediately after your abdominal plastic surgery, but this won’t restrict movement and can easily be concealed beneath clothing. Given the nature of the procedure, you can expect to have some tummy tuck scars. However, because of where the incisions are made, these are not readily visible and you can expect them to fade and to become less prominent over time. 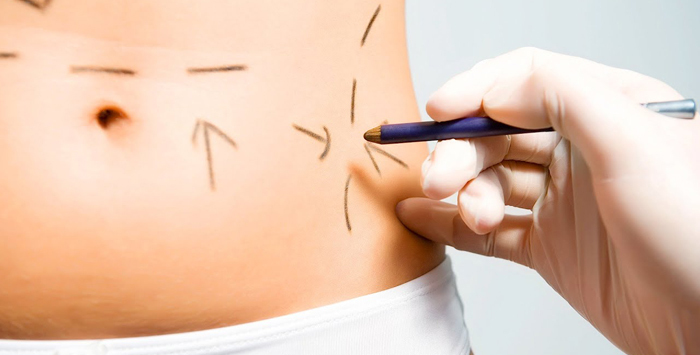 Tummy tuck prices in Australia can vary quite significantly. The overall abdominoplasty cost you pay will ultimately depend, for instance, on the hospital in which you have your tummy tuck procedure is performed, the cosmetic surgeon who undertakes the surgery, the fees charged by the anaesthetist, etc. This means that the question, “How much does a tummy tuck cost?” is not necessarily a straightforward one to answer. However, on average you can expect the overall tummy tuck cost if you have the procedure performed in Australia to be in the region of between $6,000 to $12,000 (plus GST). At Australian Medical Travel, we are able significantly to reduce the tummy tuck surgery cost you incur. On average, you can expect the savings to be in the region of $7,000. 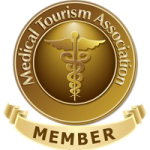 We partner with leading international hospitals in Malaysia and Thailand that specialize in cosmetic and plastic surgery procedures, and as such we can provide medical travel abroad packages which enable you to save significant sums while at the same time experiencing first-rate medical treatment and post-operative care.